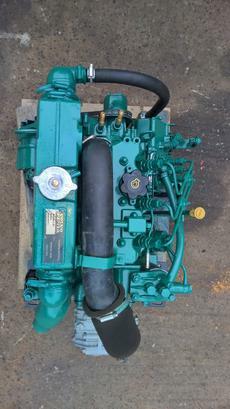 Volvo Penta 2030 29hp 3 Cylinder Heat Exchanger Cooled Marine Diesel Engine Complete With Volvo Penta MS10 Transmission, Control Panel & Wiring Loom. We have a number of these units available with hours ranging from 1200-2500 running time. 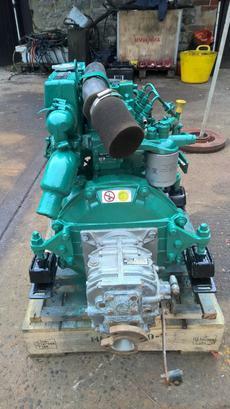 All have been tested and inspected by our workshops and found to be in good order with any required repairs and renewals carried out. 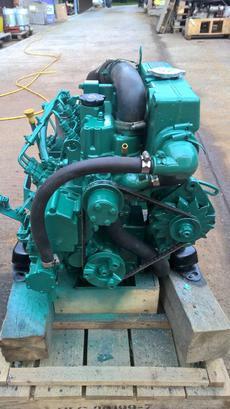 Available as a bobtail engines for Saildrive at £1795 or with gearbox for shaft drive at £2195. Saildrive legs also available if required. All have been serviced, stripped, cleaned and re-painted in Volvo Green and ready for use.